The Gospel in one word is love. 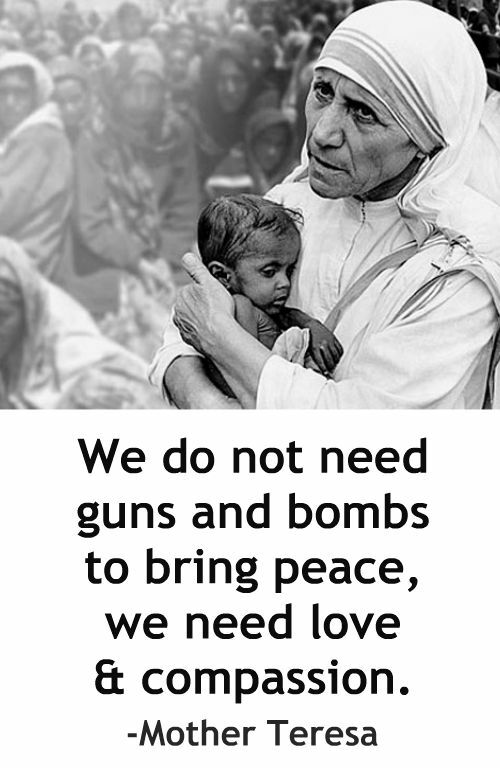 We were created through love for love. The more we open ourselves to love, the more we give ourselves in love, the more joy we will experience and the richer our lives become. It really is just that simple. 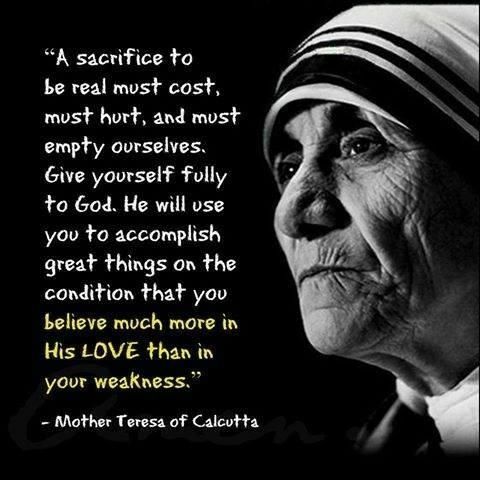 This entry was posted in News & Views, Quotes, Spirituality & Religious Writings and tagged gospel, happiness, hunger, joy, love, Mother Teresa, people, poverty, quotes, simple on September 28, 2016 by Ray Buchanan. I’m continually surprised that so many of us who call ourselves Christians must not realize how much we are loved by God. If we even once fathomed the depth of God’s love for us it would change our outlook forever. Our joy would manifest itself every single moment of every single day. 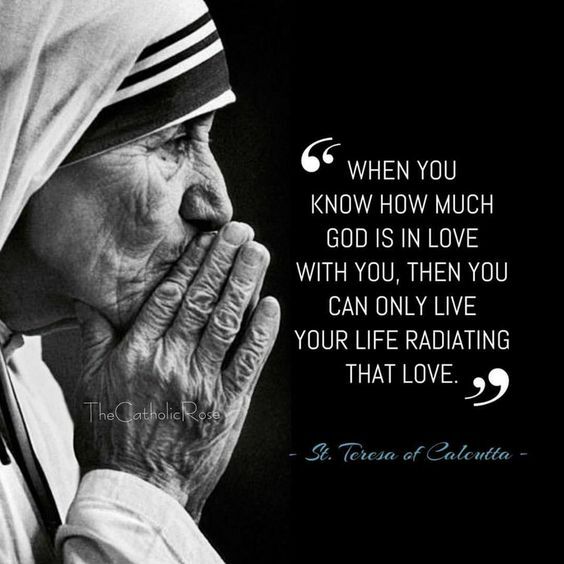 This entry was posted in News & Views, Quotes, Spirituality & Religious Writings and tagged Christians, God, joy, lifestyle, love, Mother Teresa on September 17, 2016 by Ray Buchanan. 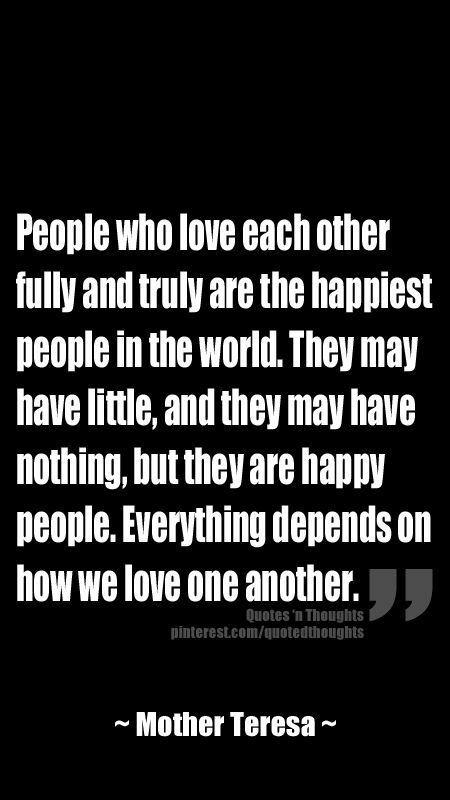 or love deeply enough to share. 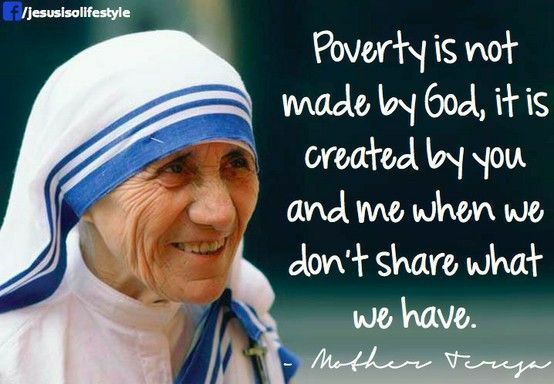 This entry was posted in Hunger & Poverty, Quotes, Spirituality & Religious Writings and tagged caring, compassion., four-letter word, Global Graffiti, God, graffiti, greed insecurity, hunger, love, Mother Teresa, obscenity, poetry, poverty, sharing, world on August 6, 2016 by Ray Buchanan. 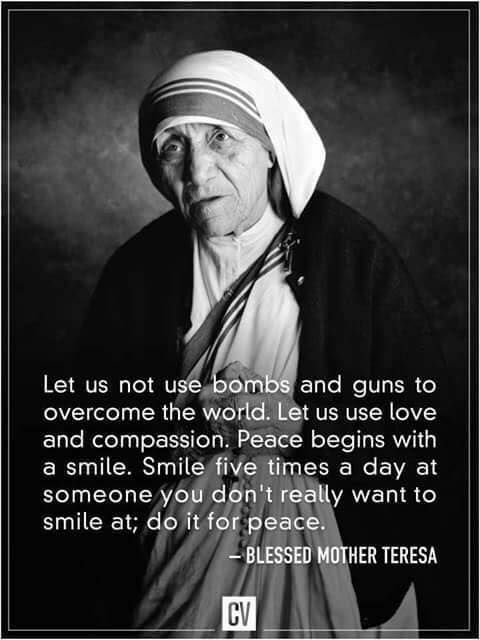 This entry was posted in Hunger & Poverty, News & Views, Quotes, Spirituality & Religious Writings and tagged bpmb, compassion., guns, love, Mother Teresa, peace, smile, violence, world on July 31, 2016 by Ray Buchanan. 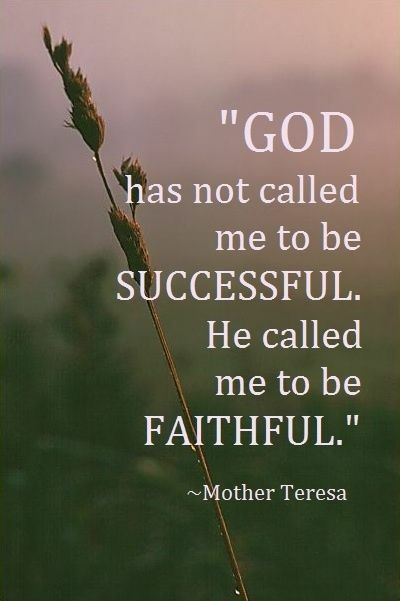 This entry was posted in Hunger & Poverty, Quotes and tagged action, changing the world, leadership, making a difference, Mother Teresa, person to person, quotes on June 24, 2016 by Ray Buchanan.